'Respect' Wasn't A Feminist Anthem Until Aretha Franklin Made It One Today, Franklin's recording of "Respect" is definitive. But when she recorded it on Valentine's Day 1967, it was a radical gender-bending of Otis Redding's original. Aretha Franklin poses for the cameras in 1968. 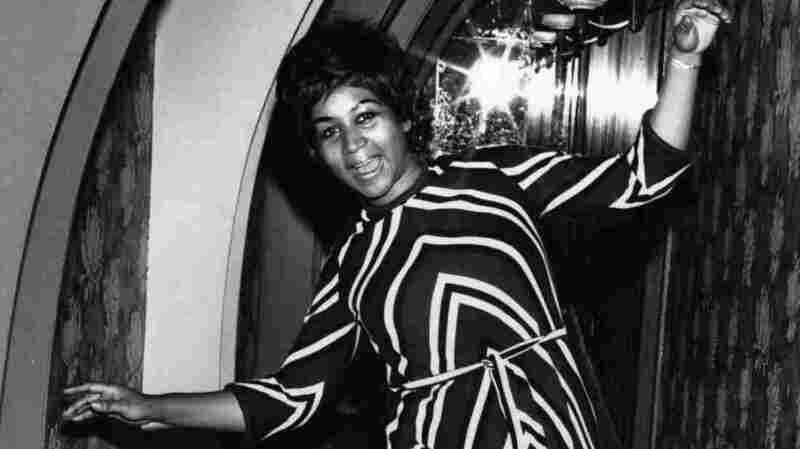 On this day 50 years ago, a little-known gospel singer from Detroit went into a New York City recording studio to try to jump-start her career. No one saw it coming, but the song Aretha Franklin laid down on Valentine's Day 1967 would go on to become one of the greatest recordings of all time. "Respect" hit the top of the charts four months later and turned Aretha Franklin into a feminist champion. The track was actually a clever gender-bending of a song by Otis Redding, whose original reinforced the traditional family structure of the time: Man works all day, brings money home to wife and demands her respect in return. Franklin's version blew that structure to bits. For one, Redding's song doesn't spell out "R-E-S-P-E-C-T" like Franklin's does. It also doesn't have the backup singers and their clever interplay. So much of what made "Respect" a hit — and an anthem — came from Franklin's rearrangement. She remembered how it all came together when she spoke with WHYY's Fresh Air in 1999. "My sister Carolyn and I got together and — I was living in a small apartment on the west side of Detroit, piano by the window, watching the cars go by — and we came up with that infamous line, the 'sock it to me' line," she told host Terry Gross. "Some of the girls were saying that to the fellas, like 'sock it to me' in this way or 'sock it to me' in that way. It's not sexual. It was nonsexual, just a cliché line." Franklin's "Respect" became a transformative moment — not only in her career but also in the women's rights movement and the civil rights movement. Which makes one wonder: What did Redding think of all this? "Well, he didn't like it," says Mark Ribowsky, author of the biography Dreams to Remember: Otis Redding, Stax Records, and the Transformation of Southern Soul. Speaking to NPR in 2015, Ribowsky said Redding eventually accepted that "Respect" no longer belonged to him — and that you can see it for yourself in his 1967 performance at the Monterey Pop Festival. "He comes onstage and he goes, 'This next song is a song that a girl took away from me' — but he says it with the Otis charm, a little glint in the eye," Ribowsky said. "And Otis couldn't begrudge her that." Rolling Stone named "Respect" one of the top five greatest songs of all time, saying: "Franklin wasn't asking for anything. She sang from higher ground: a woman calling an end to the exhaustion and sacrifice of a raw deal with scorching sexual authority. In short, if you want some, you will earn it."